Those of us who've managed to hang on to Verizon unlimited data after the tiered plans started showing up are not going to give it up lightly. We buy unsubsidized phones at ridiculous prices to stay secure in the knowledge that we can gobble as many gigabytes as we want for $30 a month. This does not please Verizon: unlimited data is not conducive to profits, and unsubsidized customers are more likely to bolt. So they're trying to bring grandfathered unlimited customers back into the fold with a "deal" for Verizon Edge, codenamed Verizon Max. If you'll recall, Verizon Edge is Big Red's take on the quick-upgrade plans currently offered by T-Mobile (JUMP) and AT&T (Next). The gist is that you buy a new phone at full price with interest-free financing over 24 months, so a new $600 phone would cost $25 a month on top of your normal plan. Then you can trade in your phone after six months for a new model, assuming that you've paid at least 50% of the retail price (so most people would have to either pay 6 months worth of charges, or wait for at least a year to upgrade). Edge plans will be offered starting on Sunday, August 25th. 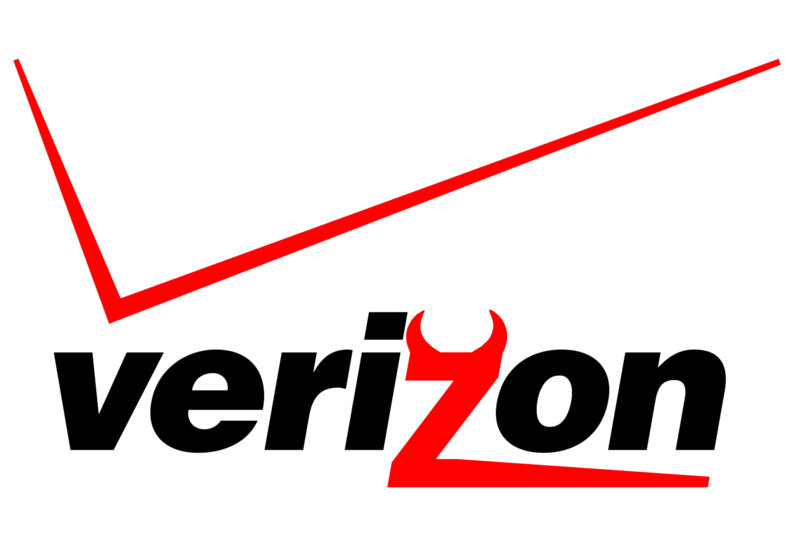 According to some leaked leaked information posted at Droid-Life, the Verizon Max plan is designed specifically to tempt unlimited data customers into Edge. They're offering a one-time upgrade with exclusive data tiers at significant discounts to what new and recurring customers pay. $30 a month will get you 6GB of data, and $50 a month will get you 8GB plus the right to use tethering for other devices. Sharing plans are not an option with Verizon Max: it can only be applied to one line at a time. Compared to Verizon's regular data tiers it's a decent deal, assuming that you don't use too many voice minutes or text messages on the old policies. (The cheapest "Share Everything" plan is unlimited voice and text plus 500MB of shared data for $40 a month. 6GB of data is a whopping $80.) I can see how someone who really wants a new device at a cheap price might be tempted. But those customers who are still on unlimited accounts are paying $30 a month for all-you-can-eat data, plus a minimum of $40 for the cheapest voice-only plan. So if an unlimited data customer wants to switch to Verizon Edge, at the bare minimum they're replacing limitless data with 6GB, making the cheapest available plan the same price. Tethering on the old unlimited plan is another $30 a month (it's free on the Share Everything plans), so the $50 8GB+tethering tier saves a bit of money, assuming that you never go over that limit and get another $10 charge. That's $10 for every gigabyte. So if you're in the habit of using 10GB of data between your phone and your tethered tablet, it will cost you at least $70 a month, plus whatever you pay for voice and text. If you use 20GB, which is not unheard of, the price jumps to $170 a month plus voice and text, a $210 minimum. This is a "deal" that could go Faustian in a hurry. I happen to be a grandfathered Verizon unlimited data customer, and to put it bluntly, they can have my plan when they tear it from my cold, dead hands. The $30 tethering option means that I've always got a super-fast LTE connection for any computer or tablet, and yes, I use much, much more than 8GB a month. If you make full use of your unlimited data, there's nothing here that should tempt you: you'll still be paying full-price for devices, you'll just have the option to trade up every once in a while. And that's something you could do just as easily by selling a 6-month-old phone on Craigslist and applying it to the cost of a new phone. Edge, Next, Jump - whatever you call these trade-up plans, they're generally a bad deal. Giving up unlimited data might just be the worst one yet. Verizon unlimited customers, don't be fooled. If you've still got unlimited data and you're convinced that you don't need it, you'd probably be better off taking advantage of the lower prices in the standard subsidized model. 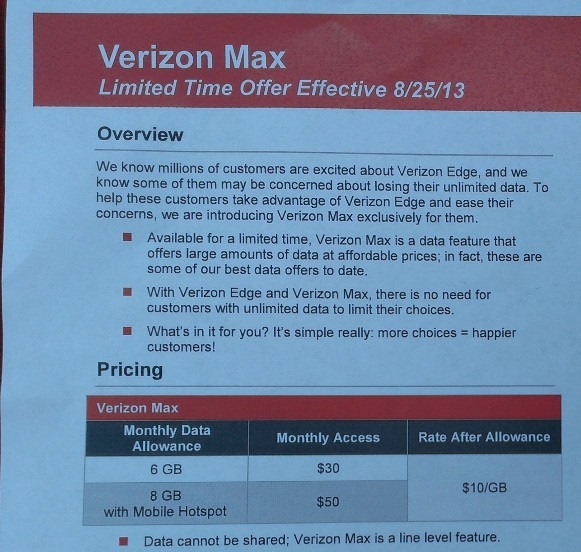 Eventually, Verizon will probably push unlimited customers to tiered data, one way or another. Don't do it any earlier than you have to.